He is a photographer. Although he work as a freelancer, his group leader requires the,team to have an executive laboratory check-up. That's when he discovered his SGPT is high. 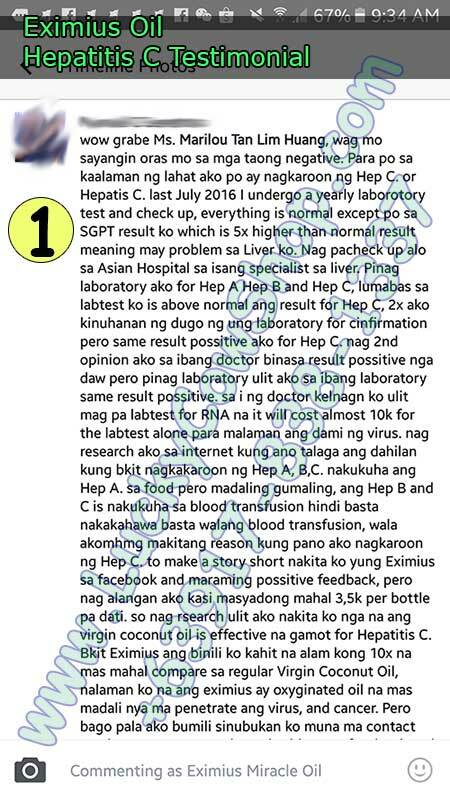 And the laboratory result also shows that he has hepatitis c. He was surprised because he said it was impossible he has hepatitis c.
There would be a follow-up check up the next month. The laboratory test result should not show any signs of hepatitis c, or else he will be kick out from the team. 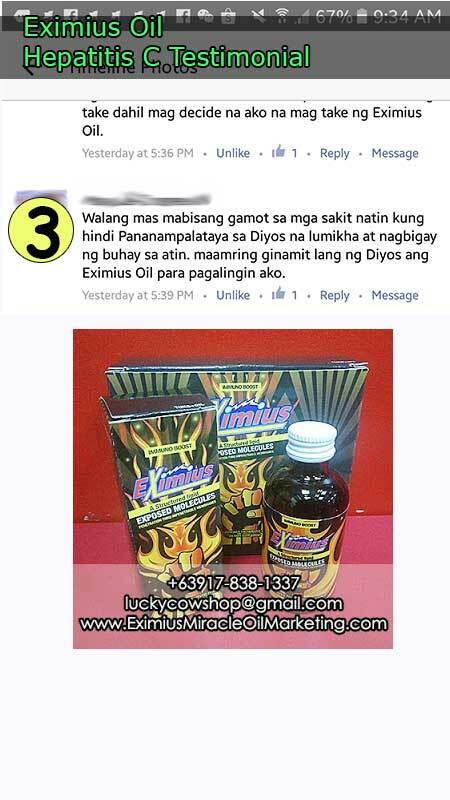 He tried Eximius Miracle Oil. 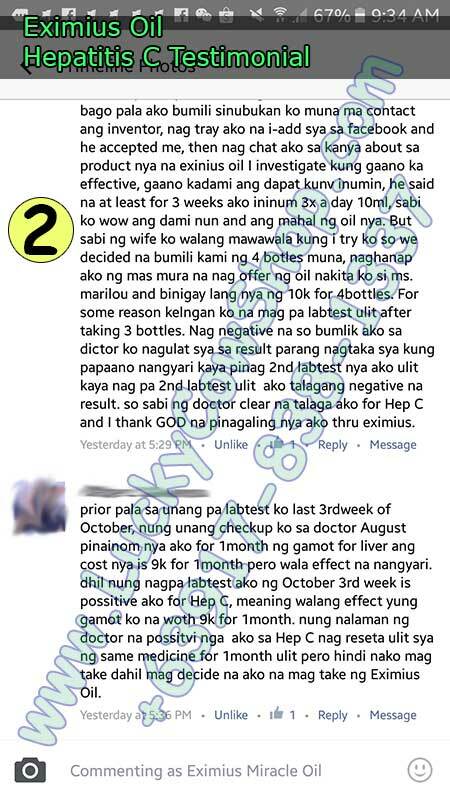 Here's my text chat with the wife of the one diagnosed with hepatitis c, roughly translated into English. She: You know, the SGPT of Manuel is normalized quickly. Remember us, the one you met up in SM Muntinlupa? Me: Yes. 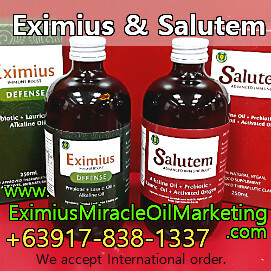 (Eximius Oil) is very good. How is his hepatitis c? She: Ahhh very memorable to you. It's late night. He doesn't have hepatitis c anymore. He had a retest for hepa a, b and c. No more problem anymore. All results are now normal. Then she's telling me she's giving her mom Eximius because her creatinine is so high. Here is his actual testimonial. 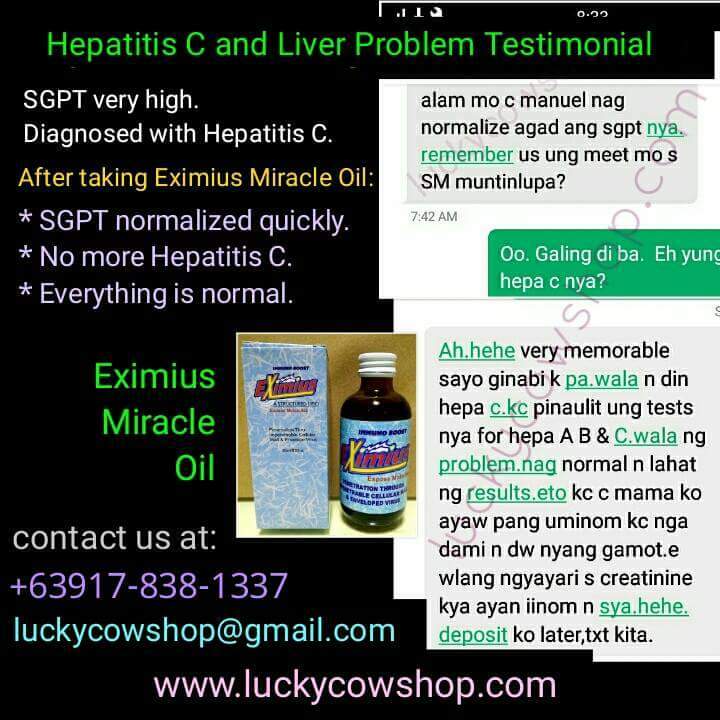 If you know anyone who has hepatitis, or has problem with their SGPT SGOT, please refer us to them.